When I encountered Elizabeth Alexander's The Venus Hottentot (1990) many years ago, I first began thinking a little more about the appearance of visual artists in poetry. In particular, I took note of Alexander's poems about Romare Bearden, Van Der Zee, and Frida Kahlo. Over the years though, Alexander prompted my thoughts about African American artists by placing their artwork on the covers of her books. The Venus Hottentot includes an image of Charles Alston's Ballet Dancer, and the back-cover informs us that the image is presented from the collection of Clifford and Adele Alexander, the poet's parents. Alexander's book Body of Life (1996) includes Kerry James Marshall's Could This Be Love (1992). Her volume Antebellum Dream Book contains Bob Thompson's Garden of Music (1960). Alexander's American Sublime (2005) showcases Henry Ossawa Tanner's The Annunciation (1898). Bob Thompson's Garden of Music appears on the cover of Alexander's Antebellum Dream Book. Her collection of essays The Black Interior (2004) presents an image of Elizabeth Catlett's sculpture The Black Woman Speaks (1970). Alexander's volume American Blue (2006) has Betye Saar's Black Girl's Window (1969). 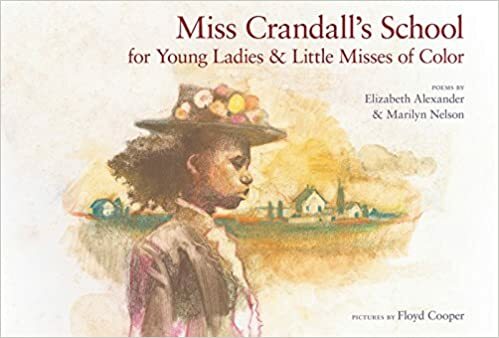 With Marilyn Nelson, Alexander co-wrote Miss Crandall's School for Young Ladies and Little Misses of Color: Poems (2007). The book contains illustrations and a cover by Floyd Cooper. Alexander's Crave Radiance: New and Selected Poems 1990 - 2010 (2010), contains Alma Woodsey Thomas's Wind and Crepe Myrtle Concerto (1973). Alexander's late husband Ficre Ghebreyesus, who passed away in 2012, was a visual artist. He was born in Asmara, Eritrea. His painting Solitary Boat in Red and Blue appears on the hardcover of Alexander's memoir The Light of the World (2015), and a portion of his painting the Sardine Fisherman Funeral appears on the paperback version of the memoir. That coverage is not accidental. Alexander was apparently being deliberate about including a diverse grouping of African American artists for her covers. These days, it's common for African American poets to select the work of black visual artists for their book covers. 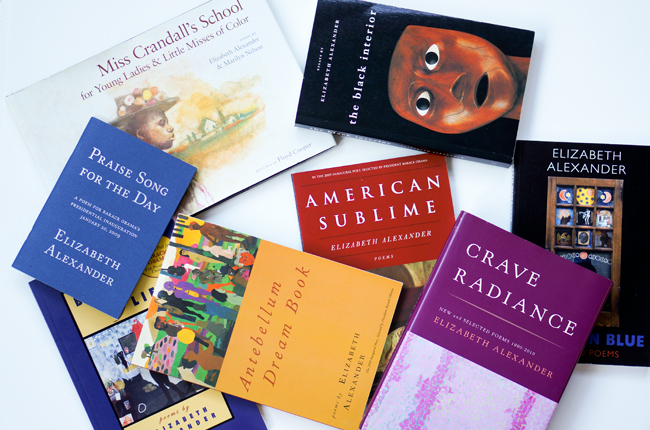 Alexander's books constitute a model of what it means to represent a diverse group of black artists.